This might be a little bit self serving but a question we get asked a lot is what can you do to make your dental treatment easier in the dentist chair…We are always grateful to patients who ask this question, so here’s our top 10 points for being the perfect patient. Tell us your worries: If you are nervous at the dentist- let us know. If it’s something in particular, we will do everything in our power to make the experience more comfortable for you. Some people are fine at the dentist, but have a phobia of needles- there are ways around making the anesthetic experience more phobic friendly. We even had a lady this week who feels queasy with perfumes and smelly candles- it’s not difficult for us to remove candles from the waiting room, but we would never have known if we weren’t told. If we can accommodate to make things easier- we will! Sit still: We’re not asking you to lie like a plank of wood, but fidgeting and crossing, then uncrossing your legs will make your head move which makes our working area unstable. If you need to move, just put your hand up first so we can stop what we’re doing and let you sit up. Don’t put your fingers in your mouth: It’s just grosse. OPEN WIDE: we need room to move in there! If you have trouble keeping your mouth open or if your jaw becomes tired let us know. We have these really cool bite blocks that you rest your teeth on. All of our patients that have used one request it again the next time. ASK QUESTIONS! We love our jobs and showing off what we can do. If you have a missing tooth that you are curious to know how to replace- ask us! If you want teeth whitening or your jealous of your friends new veneers and want to know what we can do for you- Ask!! We can talk for HOURS about dentistry. We are just begging for you to ask us all about it!! Try not to talk during treatment: Avoiding talking during treatment is a big plus. Many of the products we use in dentistry require the tooth to be dry. If you talk, chances are you will wet the area and we will have to start again. We always ask you questions at the beginning of your appointment and we always allow time to discuss things after. Arrive on time: pretty self explanatory, but if you arrive 15 mins late for a 30min appointment you’ve reduced your appointment time by half and we can only get half the stuff done. TURN YOUR PHONE OFF! or put it on silent. We’re just like everyone else and find it disrespectful when people answer their phone while in the dental chair. Its rude and hurts our fillings <haha! dentist joke>. Relax: The more calm you are the more enjoyable your dental experience will be. As soon as your muscles tense, the visit starts to become very tiring. It also makes your cheeks and tongue firm which makes it difficult for us to move them out of the way. Relaxing your tongue behind your lower front teeth is helpful. The less you think about it the more relaxed you will be. We have a TV on the ceiling for this exact reason. Grab the headphones, tune in to the TV and….relax. Don’t avoid us!! 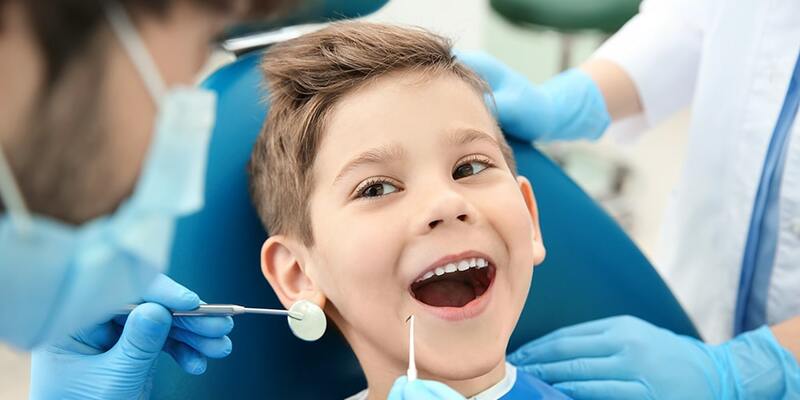 -The best way to visit the dentist less is actually to visit the dentist more! I know that sounds stupid, but hear me out…We all know brushing twice a day, flossing at least once a day, eating healthy and drinking lots of water is the best way to a healthy mouth. BUT if you add visiting us twice a year for regular checkups then your appointment time will only be 30mins twice a year! When we don’t see you for five years at a time, the small things become BIG things and take longer to repair….and add $$$.